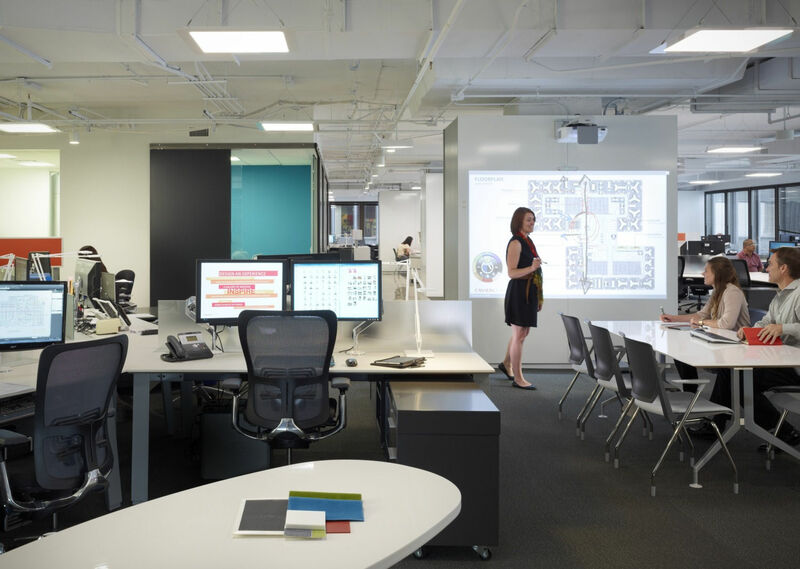 Neo Developers: What’s new in office space designs today? What’s new in office space designs today? 1. Waiting area is not so boring now!! 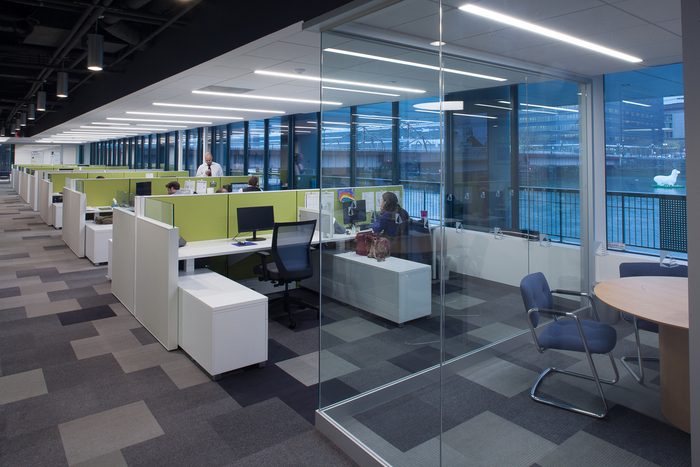 120 degree workstation arrangements allow for both sufficient individual privacy and team wise definition of space in an open office environment. 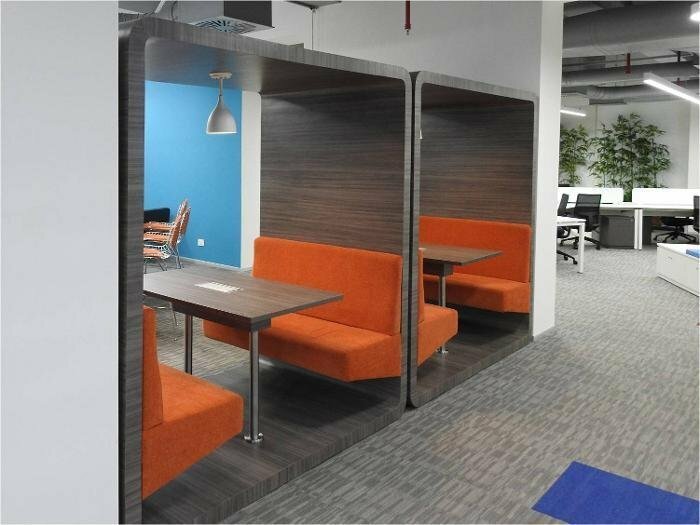 Such designs are increasingly being used by companies to allow employees to interact with each other creating a warm environment eventually improving the overall productivity. 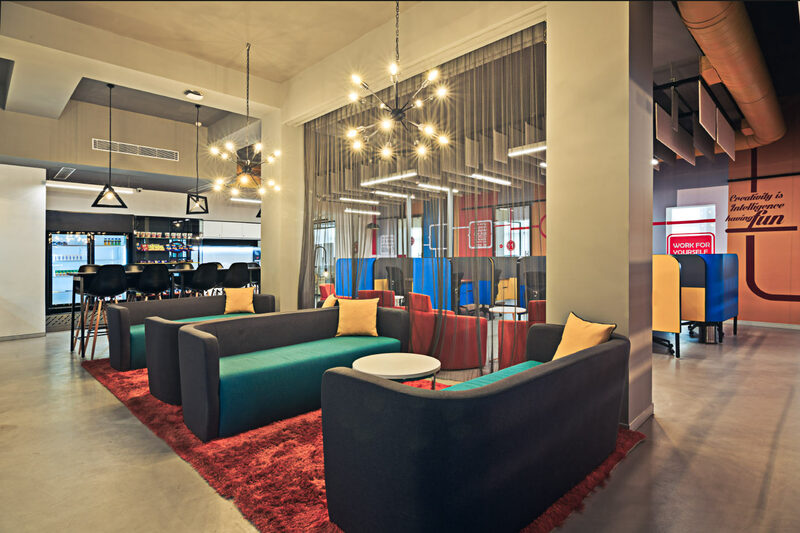 Many may not know but colours also play an important role while designing an office space.Vibrant and trendy colours add a fun element to the the office spaces. 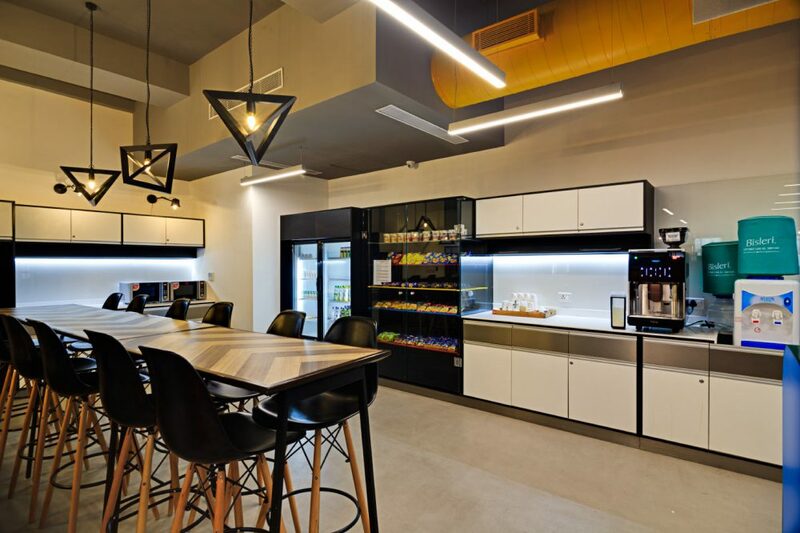 Aesthetically designed food and beverage corner with a high bar counter type seating, visi-cooler and tea-coffee dispensar provides for a great place for chit-chat and a welcome break from the work. 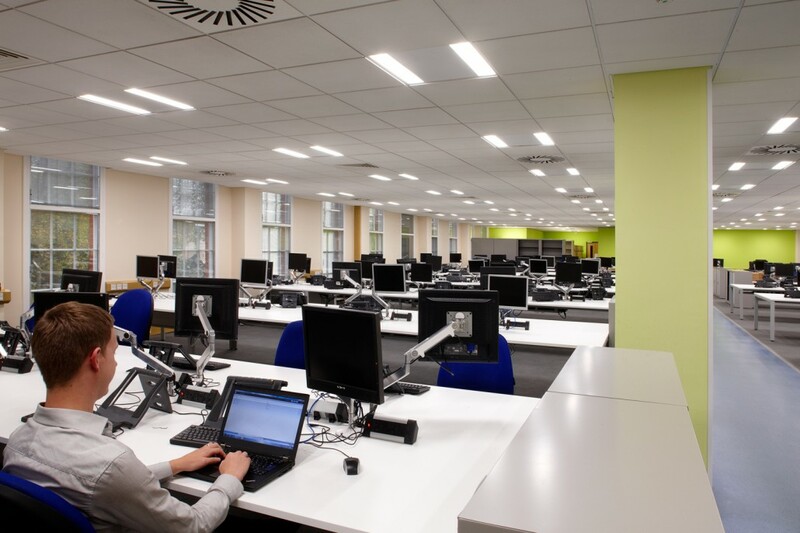 Taking open office seating to the next level by removing all screens and partitions to encourage interaction and collaboration.The accent colours on walls and columns with well placed graphics and greenery create a congenial work atmosphere. 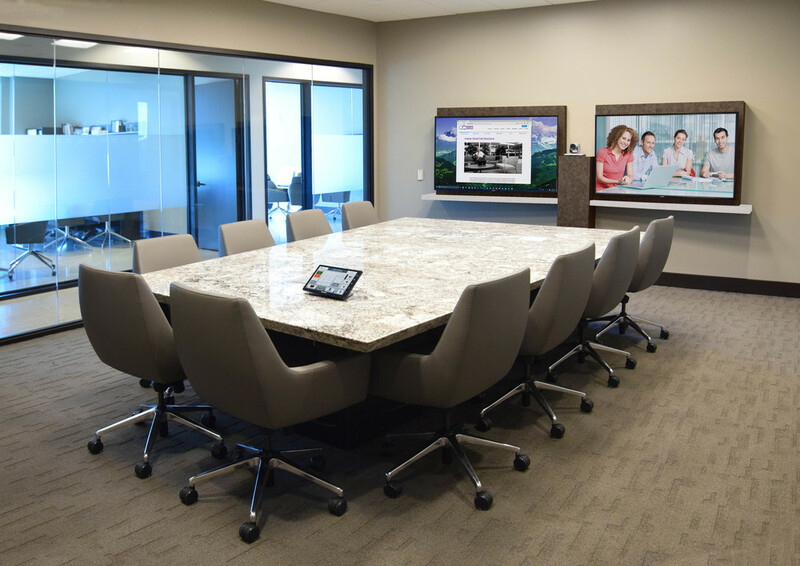 Clean white lines define a new age video conferencing / entertainment space with a combination of sofa seating in front and high standing counter/ bar seating to accommodate more participants. 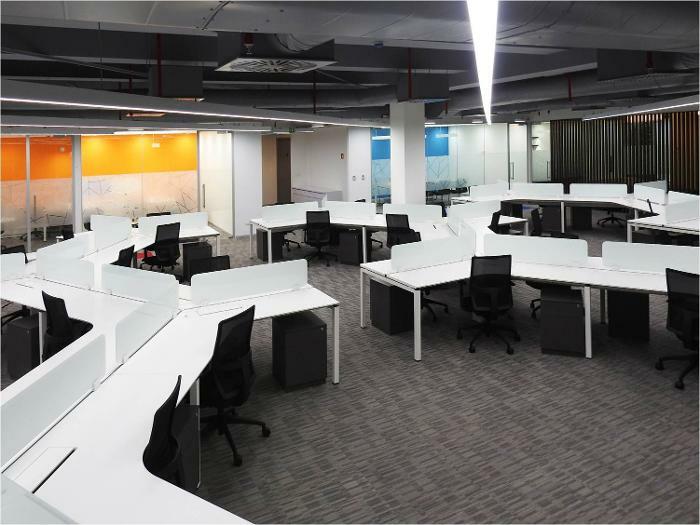 Open desking without fixed user assigned seats or hot desking are replacing individual workstations as a new trend that is being embraced even by traditional offices.Companies are even encouraging employees at top managerial level to go for such open spaces to interact more with their team.